NCAAF: Saturday, December 22, 2018, Hawaiian Federal Credit Union Field at Aloha Stadium, Honolulu, Hawaii at 10:30 PM ET. Louisiana Tech and Hawaii will play in the17th Hawai’I Bowl on Saturday, December 22. For Hawaii, they are no stranger to this game. The Rainbow Warriors have appeared in this contest seven times, winning four times. Their most recent appearance was in 2016 when they defeatedMiddle Tennessee 52-35. 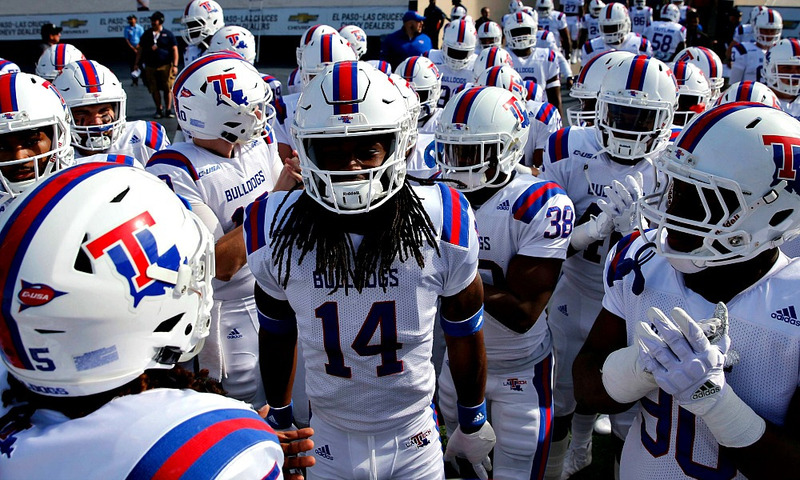 Louisiana Tech has never appeared in this bowl game before, but they have not been strangers to post-season play sinceSkip Holtz became the head coach. This will the fifth straight bowl appearance for the Bulldogs. They have won each of the last four, including blowing out SMU in the Frisco Bowl last year, 51-10. What started out as a very promising season for Louisiana Tech took a disappointing turn over the final month. The Bulldogs were 6-2 at one point, but lost three of their final four games of the season, including a 45-3 thrashing at the hands of Mississippi State, to close out the year. Louisiana Tech is led by an outstanding defense, allowing 23.8 points per contest. This is a group that has generated36 sacks this season and 19 turnovers. It starts with Jaylon Ferguson who has been an absolute beast, recording 15 sacks and 23.5 tackles for loss this season. His sack total leads the country. Collin Scott has established himself as one of the leaders of this defense, leading the team and tackles with 83, while adding 3.0 sacks and two interceptions. The offense will fall squarely on the shoulders of quarterback J’Mar Smith, who has thrown for 2875 yards and 14touchdowns this season. It is true that Smith has made some big plays this year, but nine interceptions and a 57.0% completion percentage point out the inaccuracy of the Louisiana Tech quarterback. Smith struggled over the final eight games of the season, throwing for just five touchdowns while tossing four interceptions. Against a team like Hawaii, who should put up some points, he is going to have to have a big day if the Bulldogs are going to have a chance to win this contest. It has been a streaky season for Hawaii this year. The team began the season with a three-game winning streak, including victories over Colorado State and Navy, before losing by seven at Army. They then put together another three-game winning streak before dropping four straight, including losses to BYU and Fresno State. At 6-5 the Rainbow Warriors season was slipping away, but victories over UNLV and San Diego State to close out the year gave Hawaii an eight win season and a trip to the Hawai’i Bowl. Hawaii is only going as far as their offense will carry them, and they have a fantastic young quarterback in Cole McDonald.McDonald estrone for 3790 yards and 35 touchdowns this season and had his best performance of the year in the final game of the season, when he threw for 452yards and three touchdowns in an overtime victory over San Diego State. The Rainbow Warriors have not been good against the run this season, allowing nearly 2700 total yards, but Louisiana Tech does not have much of a running game, as Jaqwis Darcy led the team in rushing with 634 yards. However, he did average 5.6 yards per carry and scored nine touchdowns. If Darcy can have a big day against Hawaii, it would be a boon for the Bulldogs. 5-1 ATS in their last six bowl games. 0-4 ATS in their last four games on field turf. 5-2 ATS in their last seven games in December. 15-34-2 ATS in their last 51 games. 0-3-1 ATS in their last four nonconference games. 9-23 ATS in their last 32 games against teams with a winning record. Louisiana Tech is favored by a single point in this contest, letting you know that this should be quite an affair. These two teams have met 10 times before, with the Rainbow Warriors going 7-3 ATS in those contests. The home team is 7-1 ATS in the last eight meetings between these two teams and it should be considered that Hawaii is really the home teamhere. The favorite is 7-2 ATS in the last nine meetings between these twoteams. Those are a lot of conflicting trends, making it difficult to determine based upon past performances who has the edge in this contest. It is likely the Rainbow Warriors are not going to have a 40 point performance in this game, but they should score at least 28. That leaves it in the hands of the Bulldogs to try to come up with at least 29 to win, something that is quite likely. Look for Tech to win by three. The total began at 57.5 when the line was first set but has moved to 61.0 since then. It’s likely that oddsmakers are saying the same thing that we are, that this score is going to end something like 31-28. Hawaii is averaging 32.1 points per contest while Louisiana Tech is averaging 24.2 points. That puts this combined average at 54.3. Defensively the Rainbow Warriors are allowing 35.4 while the Bulldogs are allowing 23.8, a total of 58.2. All of this seems to point to a game that is slightly under 60.